“Muslims are increasingly worked up about the apparent surge in LTTE influence. In a meeting with a group of Muslims at Southeastern University, the team was told that Muslims felt that the LTTE was slowly but surely working to take over the Eastern Province. M.L.A. Cader, the vice-chancellor of the university, was adamant that eastern Muslims had to take steps to ensure that the government in Colombo heard their concerns. Muslims felt they were being ‘abandoned’ and ‘sold out’ by a government eager to make peace at any price with the LTTE. 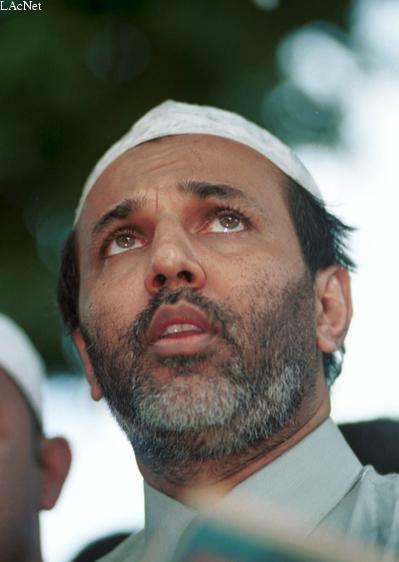 Cader bitterly criticized Rauf Hakeem, the head of the Sri Lanka Muslim Congress (SLMC), asserting that Hakeem did not care about eastern Muslims and was only interested in maintaining his ministerial position in the government.” the US Embassy Colombo informed Washington. The Colombo Telegraph found the related leaked cable from the WikiLeaks database. The cable discusses the situation in the Eastern province under the ceasefire agreement. The “Confidential” cable written on November 14, 2002 and signed by the US Ambassador to Colombo E. Ashley Wills. This is extremely unfair. He is also interested about beimng the leader of the Muslims! Muslims leadership not only betrayed the Muslims, they also let down the Tamils in a bad way. The war inflicted harm on all the communities and the Tamils suffered the worst because of the successive government’s anti-Tamil agenda. Tamils have condemned and criticised actions against the Muslims by the LTTE and the government but how for did the Muslim leadership go to speak for the Tamils. They were always trying to pull the rug and make the maximum mileage out of any crisis for them. Government Minister Rishad Badurdin is doing everything to work with the government to marginalise the Tamils further, whist the hypocrite Hakeem being a Minister of Justice is unable to provide justice to his own people, leave aside the international outcry on various serious legal issues. 60 years of partnership of the Muslims with the successive governments have made them only scapegoats. The Muslim former Education Minister Badiudin Mohammed played an important role to bring about the racist and heartless standardization policy in the 1970’s that produced the LTTE and the troubles still faced by the country. The Muslims must realise that wishy-washy politics played by them must come to and they must work to build trust and confidence with firm conviction. Their exploitative and anti-Tamil conduct must come to an end. Rajasingham, you are reflecting the general views of the Tamils vis a vis the Muslims. First, you say that the Tamils suffered the worst due to the war while agreeing that all the communities suffered. If you wanted a separate country, you go and fight with the army holding it; why should the other communities, particularly the civilians of Sinhala and Muslim communities, suffer? It is the biggest mistake your terrorist leaders did that they mercilessly targeted civilians of other communities. You took the arms up, so naturally you have to suffer. Don’t ever justify the losses suffered by the Muslims because of your mental terrorist leaders. We never wanted eelam nor we wanted political autonomy, so do not make us a party to suffer, because of your psycho leaders. What all we wanted was a peaceful life here and it was totally ruined by the Tamil terrorists. Secondly, Muslims very well know the circumstances under which the Tamil political leaders took up the Muslim issues. It is basically to divide the Muslims and Sinhalese, they shed some crocodile tears. Why did the Tamil Political Leaders were partnering with LTTE when the latter evacuated 100,000 Muslims from the North? Didn’t you join LTTE to vandalize Muslim properties in the North? Minister Rishad himself was a Muslim refugee and he is the best person to talk about the plights of the Muslim refugees, who were evacuated by non other than the LTTE and Tamils. These people left their houses within twenty four hours even without proper dresses. LTTE and Tamils robbed everything from them, even the infant’s milk bottle! The suffering of Tamils in Wanni is nothing compared to the suffering caused by LTTE to the Muslims. Thirdly, you are talking about Muslim leaders pulling the rug. If that ever happened, I will be the most happiest person to hear about that. Because, your Tamil leaders, who are talking about the out dated separation and political autonomy, highly deserve to fall under the carpet (See below). Fourthly, the Muslims were happy to be a partner of the government since independence until some Muslim psychos created the sense of Muslim parties. I agree with your views about Hakeem who is a curse on the Muslim community. If he is to sustain his political ambitions, he should dissolve his party and join the mainstream politics, without selling the names of the Muslims for his personal benefits. Finally, you are talking about standardization. This scheme helped hundreds of students from undeveloped areas to pursue higher studies. Its benefit is the one now you see in remote areas. Earlier, one had to come to Colombo or Jaffna to study A/L. Those who could not afford it had to suffer in the villages. But you, the Tamils of Jaffna, who were marginally affected by this scheme used it as a reason to justify your sinister motive. The Sinhalese in Colombo, Gampaha and Kalutara were more affected than the Tamils of Jaffna. Was there standardization when Selva and Amir talked about eelam? Where did psycho VP study AL and when was he denied entrance to university? Did you ever counted the number of Tamils from areas other than Jaffna who were benefited from standardization? You think the Tamils of Jaffna are the only Tamils in Sri Lanka and all other community have to suffer for your well-being? The anti-Tamil sentiments of Muslims will never end as long as you use their name for your own political mileage. First you apologize to the Muslims for the LTTE atrocities including the ethnic cleansing from North, killing of worshipers and surrendered policemen etc. and return their robed properties and belongings. Thereafter, you talk about building trust and confidence. Just saying a sentence that the Tamils condemned and criticized LTTE inflicted harms on Muslims will not help. I am glad that you articulated your sentiments (in an agitated manner) and hope it is not the views of the majority Muslims. You must remember some Muslims were involved with the Tigers and Muslims were also engaged with the security forces as armed Home Guards in the Eastern province and committed crimes against the innocent Tamils. LTTE’s failure was to unleash a terror campaign against the civilians that eventually failed them. Unfortunately, your attitude has not changed even after the departure of the LTTE. The very psyche is only permitting a undependable and an opportunistic political path for the Muslims that is being exploited by the govt propped up BBS at present. The Tamil politics will not permit the mainstream Tamil leadership to go on the merry-go-round with the government without a clear objective of working towards a political resolution. Unlike the Muslim leadership, such inherent and embedded mandate coming from the heart of the Tamil people will not permit them to play the game played by the Muslim leadership. Minister Hakeem is the peak of the Muslim leaderships parochial opportunism. If this is what the political way forward for the Muslims let it be so. That is the fate of the Muslims. Tamil tragedy was systematic. The failures of governance created the LTTE and the terrorism of the state against the Tamil civilian population made the LTTE an evil necessary to counter the wickedness of the state. LTTE terror cannot be propped up as the only terror as the state terror precedes even before the LTTE coming to being. Many Tamils have condemned the actions of the LTTE for evacuating 100,000 Muslims overnight. I myself have written articles condemning the conduct. LTTE did the same to many Tamils. They drove away the Tamil population from Jaffna to the Vanni during Jayasekuru operations. The civilian population suffered enormously with the motto of the LTTE and it is not the same like expelling the Muslims. Please note that I have visited Puttalam and have met the Muslim victims. From the pain and suffering of the Muslims there is also a exploitative culture evolved over the period. My heart goes to the real Muslim victims who are living in abject conditions with meagre support. This illustrates the duplicitous role of the SLMC. It remained silent when LTTE attacked muslims as well as now when BBS attacks muslims? It’s good that CT is digging for probing any organized military within Muslim community. However I would like to say, if CT is an objective media, beyond probing and publicizing the doubt it should end up with revealing the true finding on the same. A sensible person who listen carefully what Hakeem speaks all over can simply understand, he is neither interested to serve public nor interested to maintain his ministry. Why are we compelled to read WikiLeaks? What about SRi Lanka SpyLeaks? The media appears to be sleeping until someone leaks. muslims are not living by the example of Quran and the hadees teaches us,and wealth and children can be either used in a good manner and bad.power is what these muslims enjoy if they always keep in mind that Allah is most powerful and the judge and the caretaker,they wouldnt behave in this arrogant and unethical manner.their example they display is showing a bad image on all muslims..we are ashamed of our leaders unlike the leaders such as mr a.h.macan markar,mr badoordeen mohamed ,ssir razik fareed ,they led an exemplary life inspite of their wealthiness and calibre were always diplomatic,and co existed well with other communities. those individuals mentioned may be harmless persons, but not good leaders for the muslims. 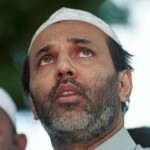 I hate Rauff Hakeem because he is an unprincipled person. He came to power from the UNP voters and switch allegiance to UPFA for perks and portfolios. He betrayed the community when it needed his voice badly. He is a despise to the entire community. The people will teach him a good lesson come next election. It is time now to send them home. It is people who should be blamed for electing these people. hakeem and other muslim ministers are selling muslims fools who are religious fanatic without reasons, in the name of religion. When they die they will know what this east coastal area muslims who are easily tamed by the name of ashraff and his old song “Athavan Elunthu vanthan ……”. Most of the idiomatic of them are from kalmunai, sainthamaruthu, ninthavur, mutur. other villagers though of same fools are benefitting by village development only ministers like Athaulla and Rishad. hakeem is a traitor.a traitor to his people.a traitor to the unp.and a traitor to our country he has no scruples such people should not be elected as they are only interested in filling their pockets.he together with that azwar only bring shame to their community. a sentiment that is expressed in these pages by many die-hard Muslims of late – “fanatics” – to use his words. Good Muslim leaders are gone for good. The present lot use the community to come to power and positions. Once in the positions they lick the boots of those who offered those positions to enjoy the pecks. They don’t give two hoots to the community. If they were so much for the community, we shouldn’t be in this situation at all. For me all of them are rotten, corrupt, selfish, greedy and power hungry lot, using the community for their mean selfishness. Now is the time for the Muslims to throw them out and bring in a good breed of new leader who are selfless and think of the community and the country more than any thing else. it’s high time we get rid of all the current old time Muslim Ministers who are no good for the community as well as to the country. They enjoy all perks at tax payers expense and nothing is given back to the country they serve. In the Next election it is worth all Muslims not voting to these goons. If Christians, Tamils, Muslims along with Sinhalese can get together and elect true common leaders who are capable of serving the country irrespective of race and religion, that would be the day mother Lanka will be a shining example to the entire world. Every minister is the same. this is nothing new.